A fresh unisex fragrance that is suitable for wear on any occaision. Winner of the 2001 Spanish Fifi's for best fragrance. There are 20 reviews of Agua de Loewe. I’ve tried hard to be patient and wait the obnoxious opening to change into something more agreeable, but I really can’t. I mean, I did, but just for your information – it is not really worth it. I don’t believe that much in “skin chemistry” variations but I guess I should start to, because unlike other reviewers experienced, the first minutes of Agua de Loewe are hideous on me. A painful journey through a horrific harsh accord of heavily pungent and synthetic citrus notes, something oddly spicy-nutty, something musky-watery-stale and a really unpleasant whiff of orange, vanilla and maybe sandalwood, adding a hint of nauseous aromatic warmth to that screechy mess. These latter notes would be even nice themselves, but it’s like smelling a slice of pie while you are in the middle of a stomach flu. Loud, plastic – “wrong”, shortly. And bloody haunting like your own shadow. Then, after a while it naturally starts to tone down a bit, entering a more enjoyable phase in which it still smells cheap, but at least it does it more smoothly and discreetly. Also, it smells progressively less citrusy and more woody-herbal-tea still with a whiff of orange and musk, and a general “fresh” feel. A bit more decent, still kind of loud and a bit cheap, however unworthy the first nightmare phase for me. Don’t bother. "Agua" implies "eau," not the literal "water," and by no stretch of the imagination is this an aquatic scent. Instead, after an unpleasantly sour, but mercifully short-lived top note, Agua de Loewe settles into a spiced orange and wood accord with a big warm musk that aligns it in very general terms with Caron’s L’Anarchiste. The Loewe is a brighter, sweeter, and cooler composition than the Caron, less musky-woody and more fruity, but for a while I sense some real structural parallels. Agua de Loewe soon drifts into a more conventional – even generic - powdery, sweet amber drydown, but that first hour of musky fruit is a pleasure. 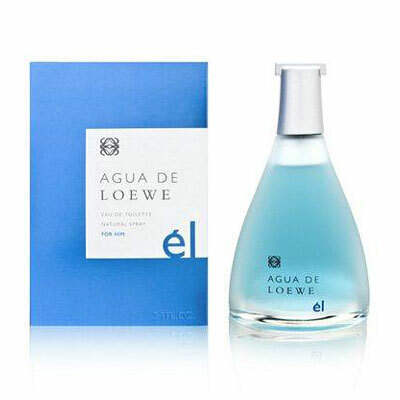 At no point is Agua de Loewe a loud scent, but it provides pleasant, light sillage while it lasts. Mind you, in my experience it doesn’t last all that long. By three or four hours after application it’s faded to a quiet powdery skin scent. I still think Olivier Cresp did good work here – I only wish he’d found a way to extend the happy effect into the base notes. Very pleasant ck one -esque summer citrus fragrance - with a floral note that has a bit of Creed's SMW vibe too. Wouldn't upset too many people I wouldn't think. Linear scent though, goes on with a tart yuzu citrus, spends about 5 minutes very floral then the flowers are replaced with more herbal notes and doesn't change much from there. Quite good longevity for this type of scent. Personally I have no problem wearing this fragrance and think it is very lovely - but I could see others finding it too floral and feminine. Good citric floral. Smells good. Perfect for a summer day or night, also to stay home and feel relaxed using it. Good price that makes it worth it. Nothing new or unique, but it's good anyway. The yuzu gives this fragrance a bit ‘heavier’ feel than your average citrus but it’s nice. Reminds me a little bit of Fruit Loops cereal. The heart of the fragrance settles down a mix of tea, mate leaves surrounded by a touch of floral notes. This fragrance is non offensive, as most citrus’ are not. The downside to purchasing is I believe they only sell this in massive 5.3oz bottles. The dry down I mainly get a faint amber & musk & not much wood from what I can tell. Longevity on this is great, though. I could still smell this going fairly strong after 12 hours. All in all a nice fragrance for warmer weather. The opening lemon kick does have an air freshner quality to it. Overall, however, this is really a nice, fresh, summertime scent. If you like nice clean citrus scents, give this one a shot. The longevity is better than a lot of this type. I wouldn't pay top dollar for this, but if you have a need for simple citrus / green scent and you can get a hold of this for a good price, you could do worse. There are no member images of Agua de Loewe yet. Why not be the first? Cerruti Pour Homme and Agua de Loewe - What do these resemble? 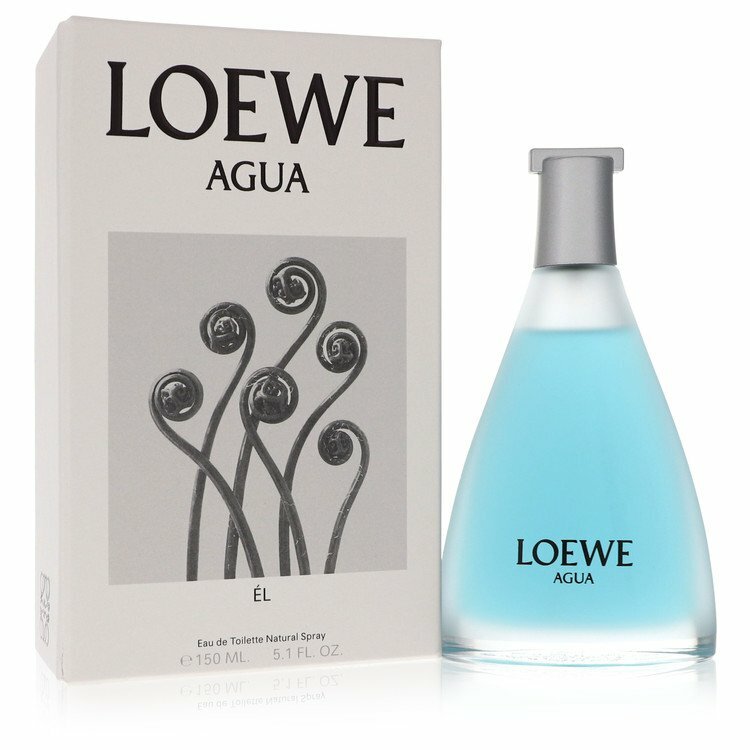 i *love* l'eau d'issey, except for the sour topnotes... so, agua de loewe?